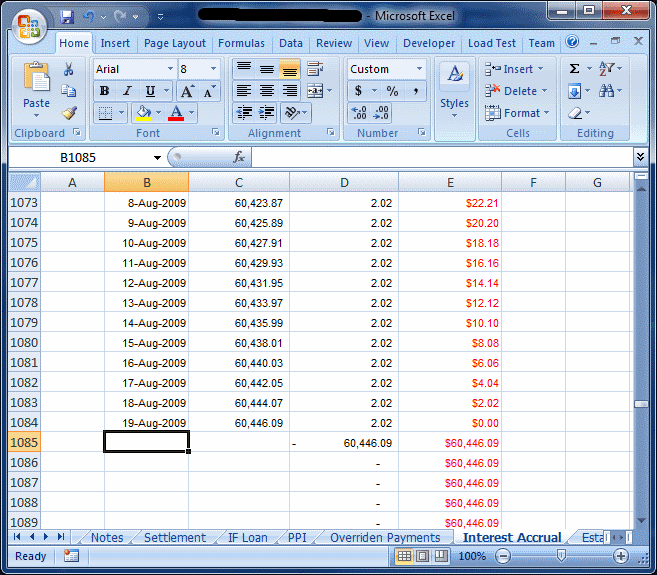 Currently I am working on upgrading an existing complicated spreadsheet which makes extensive use of VBA. It is used for formulae prototyping and then the code is translated (manually) into C#. This is far from ideal not to mention slow so I am converting it to use VSTO. Personally, I am not a big fan of VSTO it feels like a hack to allow .Net developers to extend Office applications (usually Excel). But under the hood it is basically wrapping the code into a COM wrapper to allow it to work. Can you believe that after ten years of .Net, there is still no native support for .Net inside Office applications. Ok, thats my rant for the day. The process is pretty straight forward, using the templates provided in Vs2008, however there are a number of "gotchas" I thought I would record for when I come back to this project some months later and wonder why. 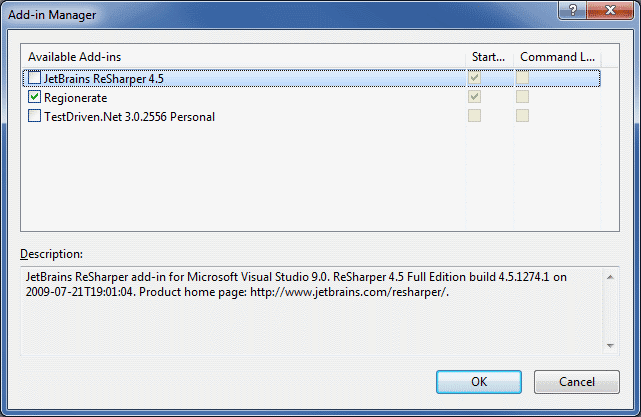 Currently I am using Resharper for C# v4.5, and although this is one of my favourite tools of all time, it doesn't play nice with Excel and VSTO. Turn it off using Tools-Addin Manager and untick the box in Vs2008. With it on it will consistently crash (hang more precisely) Vs and Excel about every 2-4 minutes. 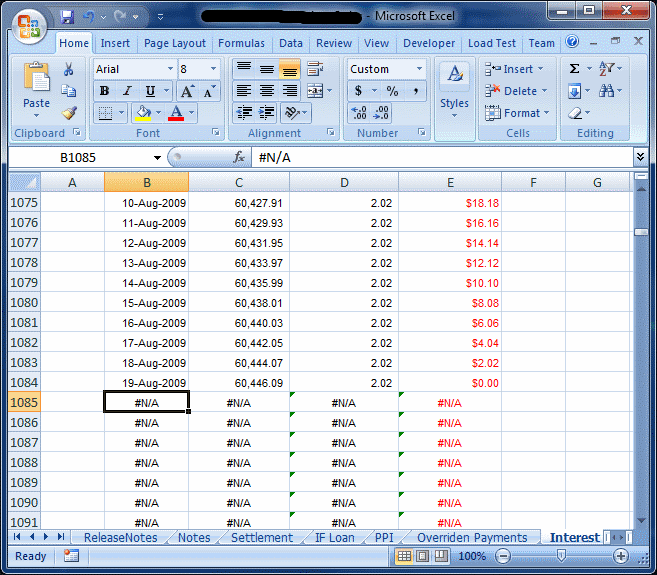 When writing data to an Excel sheet, do not loop through many cells writing data this will be very slow. Obviously there is a lot of overhead writing data to a cell. Instead write it to a jagged array and write the array in one chunk to a range. Using a named range will probably be tidiest. When using an object array to "paste" data in one big hit into a sheet, be sure the clear the area first, otherwise the second invocation could produce a smaller array than the first leaving some bad data! There are at least two commonly used overloads for getting a Range. The first overload seem to produce "#N/A"'s underneath the range specified in the method. I'm currently having deployment problems as well. This is the error message I'm getting after installing on a target machine (with Office 2007 SP2). "The common language runtime could not be loaded by ..."
This, however does not work in my case. I found another article recommending not using a Setup Project (which is what I was doing here) but rather use the Publish feature by right clicking the VSTO Project. This creates a folder containing various files, most importantly a Setup.Exe. This fixes the issue of being able to install on a target machine, however the install process is not customisable! So you cannot add a shortcut etc. Here's a summary of some great new (and some improved) features in LINQ and most importantly PLINQ. PLINQ will actually be slower than LINQ to objects if there is no expensive filtering, or projection process. Here are some examples when using PLINQ is a good idea. Happy new year! Just had to document this quickly. Accessing internal members is necessary for testing, but also sometimes for production code. I found this to be the case optimising a day-end process which read some database records copied them elsewhere and needed to save. Unfortunately by doing so resets the connection object inside the persistence layer (an old proprietary ORM unchangeable right now). This meant that the records then needed to be re-read, to prevent access to stale objects that would not have future changes updated into the database. This was fixed by calling an internal method on the connection object that registers database entities into an internal collection. A bit of a hack, but fixes the performance issue without getting caught up in fixing a persistence layer that will be replaced soon. But there were two possible approaches. 2) Or you can allow access to a internal member with an extension method. Lets start with granting access to another library to access the internal members. This will give the other library full access to all internal members in the source library. This will only work if both libraries are signed with a strong name. To find out how to do that go here. You will need to import "Imports System.Runtime.CompilerServices". Replace the "MyUnitTestLibrary" with the name of the other library where you need to call the internal methods of this library. The next thing to do, is to obtain the public key signature data. This is done by using the Sn.exe command line utility. Copy and past the public key data into the assemblyinfo file, obviously removing the carriage returns. Build both libraries and you can now access the internals. This is normally fine for testing but to expose all internals for only one use case feels dirty for production code. Heres the class that owns the internal member. connection.Commit() ' This resets the internal collection and the above array of objects is now stale and unusable, all changes to them will not be saved. connection.RegisterObject(x) ' Need to be able to do something like this, but can't right now. The plan is to add an extension to the library that contains the extension. By putting the extension in another namespace you can selectively import this only into the use case where you need to use it.